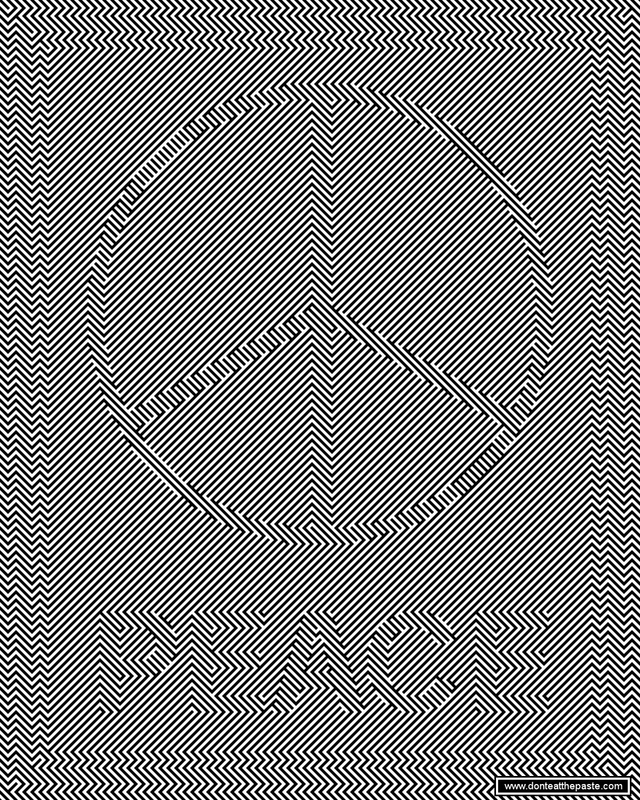 It took a while to get it set up so I could do these types of optical effects in a 300 ppi printable. I'll bet this would look just nifty printed on Astrobrights paper! The effect uses diagonal lines in opposite directions to create a maze like geometric look which has to be seen just right to see the word or image. I hope you enjoy it as much as I do! Click the image below for a large version to print and the smaller version above is on my FB page so you can share it!